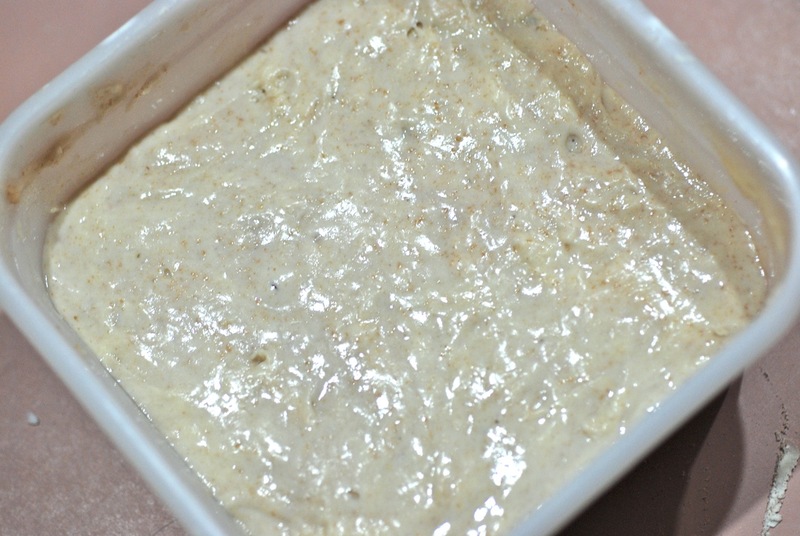 Ready to make your own sourdough starter? Here we go! 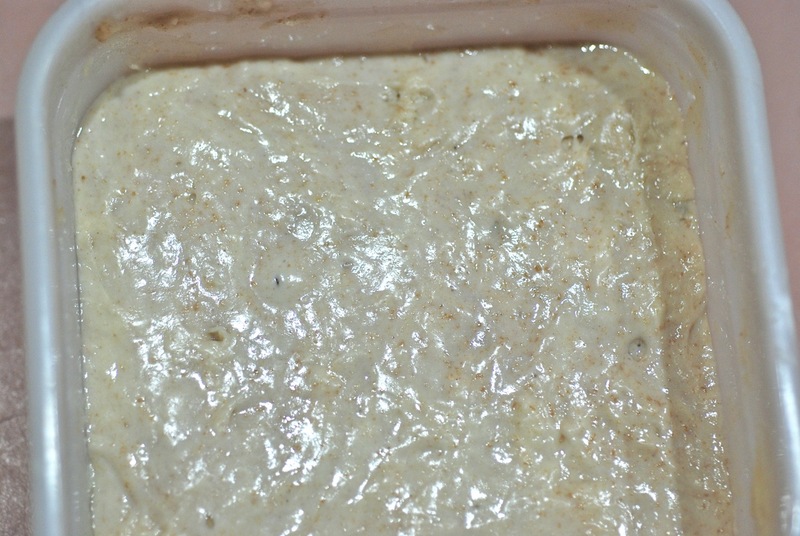 If you've been reading my blog, then you know that I use Sourdough Starter not just for Sourdough-based breads, but for almost everything I bake, and even for things that do not have any "sour" taste whatsoever. I do this because the starter itself is a flavor-concentrated, mellow dough with great elasticity. Adding it to recipes in varying amounts can impart flavor and texture that usually takes many hours or even days to get otherwise. So let's get started. First, I'd like to reassure you that this is not rocket science. (If you want complicated, we can talk about cheesemaking). But this is easy, and once you have a starter going, you will wonder how you ever got along without it. 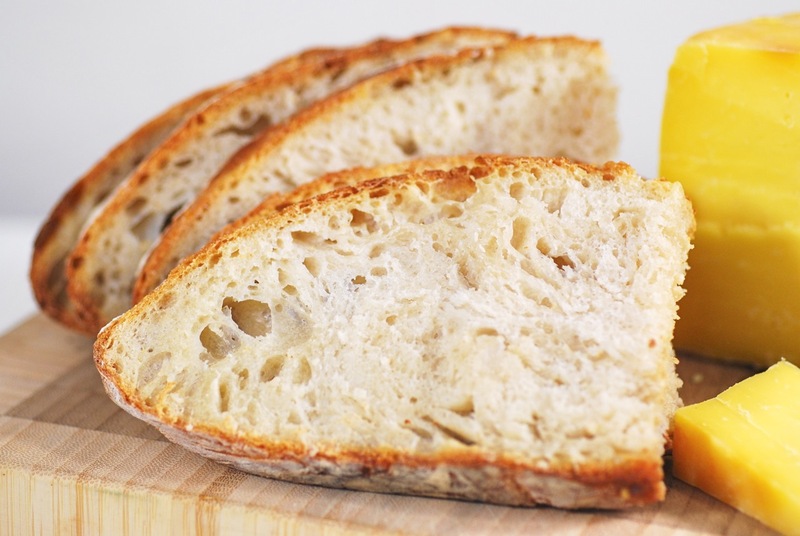 Put your preconceptions aside, including any previous experience with sourdough. Let's define the problem. 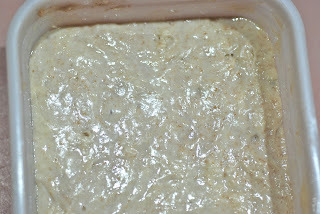 The idea is to get natural yeasts to grow in a flour/water slurry. Natural yeasts live on the outside of the wheat kernel and in our environment, unless you live in brand new construction. Moisture and warmth will encourage these yeasts to grow and feed on the starches in wheat flour. 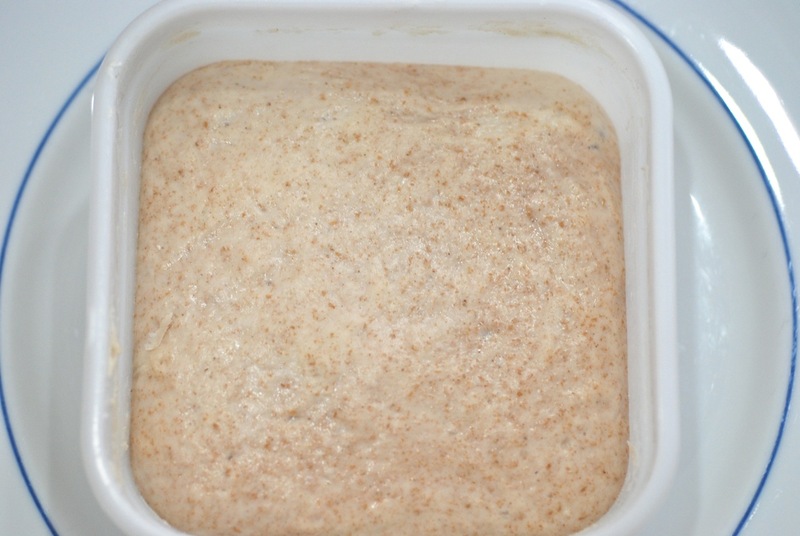 By promoting this process (refreshing the mixture with more flour and more water), the yeasts become more established, and eventually stable in the starter. Basically, you are just going to mix flour and water, and then wait. It is not necessary to use exotic fruits or vegetables or anything other than flour and water to make a starter. Some whole wheat flour is used at the outset, because the yeasts live on the outside of the wheat kernel, so more of the yeasts are still there and available to the mixture. 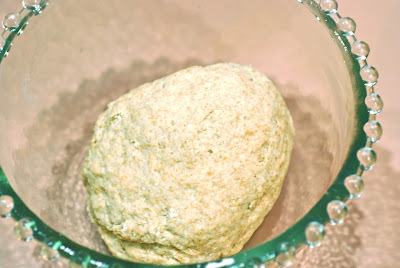 Start to finish, making a starter that is active enough to use in baking will take about 7 days, but keep in mind, you only have to do this once! Mix 100 gm whole wheat flour, 100 gm unbleached white flour, and 130 gm water. 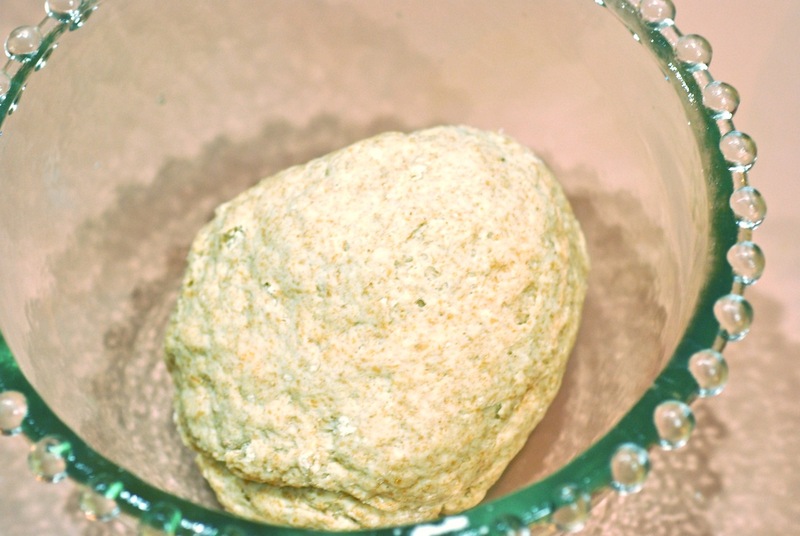 With clean hands, knead until smooth; this will make a stiff dough. Place in a glass or ceramic bowl, cover tightly and leave it for 24 hours. The temperature of the area should be 75-80F (warm). Add another 100 gm unbleached white flour, 60 gm water, and 1 gm salt. Cover and leave it in the same warm room for another 24 hours. Feed the same way as Day 2, but twice a day, 12 hours apart. For each feeding, you will discard all but 100 gm of the initial mix, then add 100 gm unbleached white flour, 60 gm water and 1 gm salt. The room temperature can be normal, just put it on your kitchen counter. I moved the starter to a sandwich box, which makes it easy to care for, then snap on the lid. You'll go through a few days with not that much change, but the color becomes more white, as the whole wheat is eliminated. You will start to see a few tiny bubbles on the surface. On day 6, it started to puff up and fill the box. And Bang! On day Seven, it blew the lid off my little sandwich box! It's ready. By the seventh day, the starter should be convincingly bubbly and active. The number of days to get a really active starter can vary, and might take several days longer, depending on your flour and your environment. Be patient. 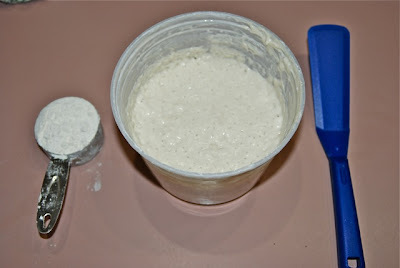 At this point, transfer the starter to your permanent starter container, and stop throwing away portions of the mixture. You should either use it or save it for later use if you have too much. Going forward, you'll continue to feed the starter twice a day, but move to 100% Hydration*. This makes it easier to work with, and easier to maintain, too. Use a covered straight-sided container, like this plastic sherbet box, and a straight-bladed plastic spatula. The straight sides make it easier to mix the starter and keep the sides clean. Twice a day: remove the lid, mix in 75g of flour (about 1/2 cup) and 75g of water (about 1/3 cup). (See Hydration note below.) Put the lid back on and clean the spatula immediately (if you wait, the spatula will take more time to clean). The whole process takes about 30 seconds. This will make an amount of starter that I find to be useful, and should be adequate for an average household. 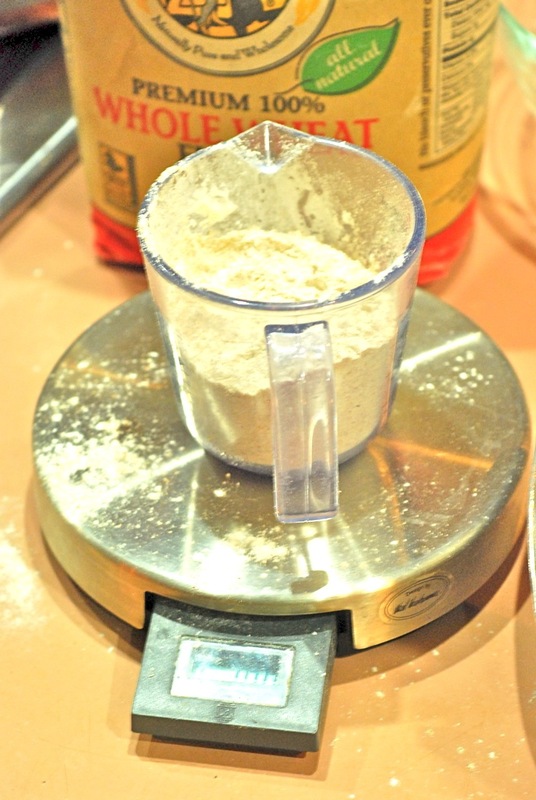 If you want to keep a smaller starter going, remove the amount of starter you want to maintain to a smaller container, then maintain by adding proportionately less flour and water. *Hydration: The mature starter is maintained around 100% Hydration. That means that the ratio (by weight) of the water to the flour added each day is 100% (100g water/100g flour). 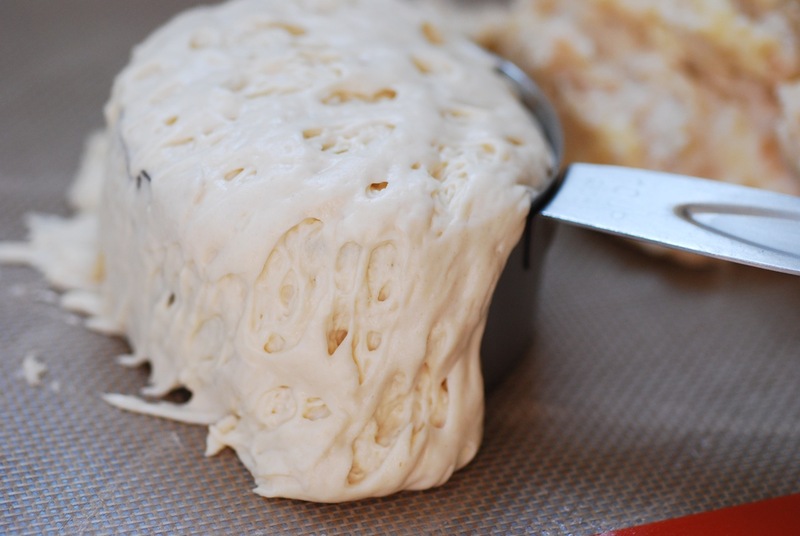 This is more wet than a bread dough, which is often around 70% hydration. You can vary the amount of water a little, depending on how you are going to use the starter. I like to keep the consistency about like wallpaper paste. Thicker than that, and it's hard to mix quickly. Thinner than that, and it seems too active, and shows a tendency to use up the flour before the next feeding. I have a container of starter on my counter at all times, so that I can quickly produce breads, dough, pastry, and other things like English muffins or peanut butter dog biscuits. Maintaining the starter on the counter, and feeding it twice a day, allows it to hold at a high level of activity. Neglecting, refrigerating, or underfeeding a starter results in long rising times, which makes cooking less spontaneous. You will be rewarded with a steady supply of active starter, with which you can make almost anything, and make almost everything else better. 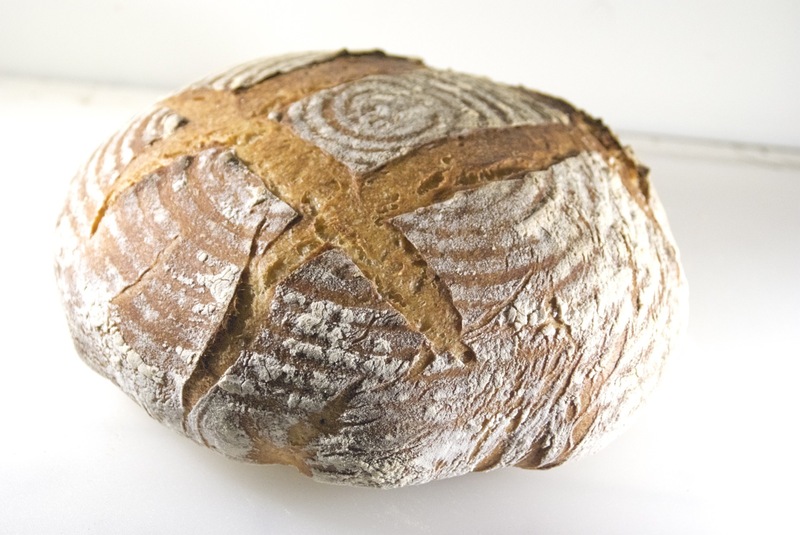 In a commercial bakery, a batch of sourdough is "built" in two or three stages, to deliver flour to the starter at a steady pace, and to allow the enzymatic activity of the culture to mellow the dough and develop flavor. With each build, more flour and water are added to the batch, in precise amounts to produce the desired amount of finished dough. The baker can produce two or more completed batches per day, carrying over just enough starter for the first build of the next shift. At home, we don't have to worry about any of that, except in principle. Keep the starter fed, use in recipes as needed. 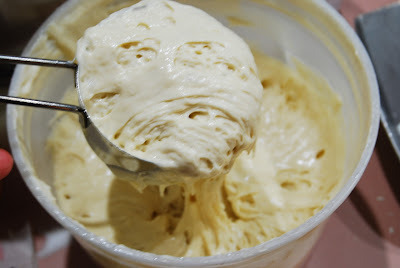 When the amount in the container gets near the top, scoop some off into another container, refrigerate the extra and accumulate for making things like Peanut Butter Dog Biscuits (where the starter is just an extender). In other words, there is not a specific amount of starter in the container at any particular time; it varies depending on how you are using it. If it turns out that you regularly need to discard starter, then move to maintaining a smaller amount (instructions above). 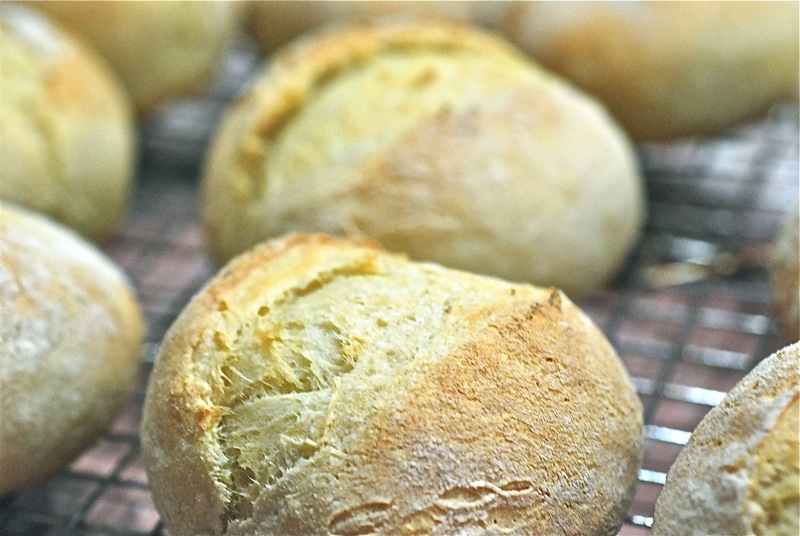 Sourdough is one of my key tools for creating interesting, flavorful food in a flash. For me, it's a building block for anything from, of course, sourdough bread, pain au levain and pizza, to puff pastry and strudel dough. It's important to note that the term Sourdough is just a word, and doesn't imply that the finished product will have a tangy, sourdough-y taste; that is controlled by what is added to the base and when, and how long the dough is allowed to develop. There are many books on baking bread, representing the accumulated knowledge of master bakers; I own many of these books, and have tremendous respect for their detailed understanding of the chemistry behind baking, and their observations about the behavior of flour, water, yeast, and salt, when they are mixed together. I would not have arrived at my current approach to Sourdough, without the instruction of Jeffrey Hamelman and James MacGuire; they are masters of their art. 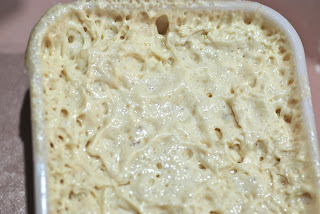 My way of using sourdough evolved over several years, as I considered the nature of yeast doughs in general, their similarities and special qualities. 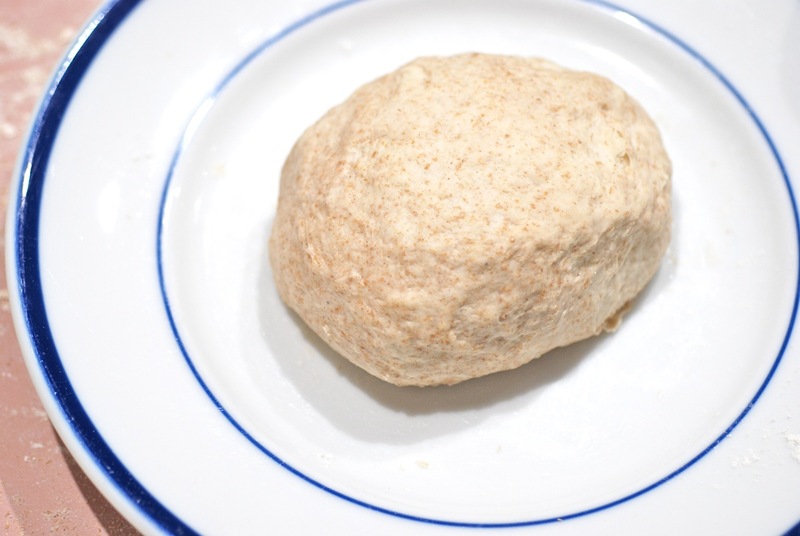 Based on conventional wisdom (and some of it from purportedly progressive shops), many doughs need to be made and then left for long periods of time, to develop both texture and flavor. 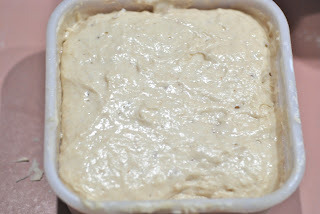 Some doughs are particularly concerned with flavor, and are usually retarded overnight to allow lactic bacteria to work. 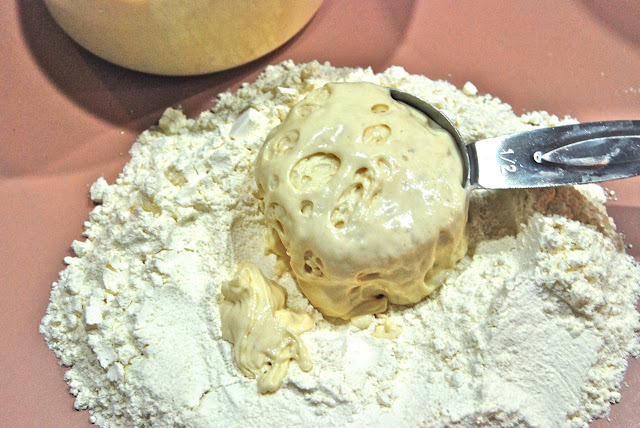 Some doughs are texture-critical, and need to have an elastic, well-developed base, to which other things like butter and sugar, are later added. Many sourdough recipes call for making sponges and using progressive builds to achieve an eventual result. All of these activities require a lot of time and planning ahead; while in some cases, the rest of the recipe is rather quick and straightforward. Most the overall time goes into waiting for the initial dough to develop. In a bakery environment, this is fine; the bakery works from a schedule, which is planned down to the minute. They want just enough starter left to begin the builds for the next shift, and not a gram more. It makes sense. However, I consider that those of us who are not running bakeries have the luxury of more flexibility. Therefore, I developed techniques and shortcuts to make use of both conventional baking knowledge and the special qualities of Sourdough, or Levain. I do make use of standard techniques like sponges in certain situations. I also sometimes use sourdough starter in addition to a yeast dough; it depends what I'm making. I often throw sourdough starter directly onto additional flour and other ingredients on the Silpat, fold and go. So, I am neither a traditional baking purist nor a sourdough purist, but leverage the advantages and qualities of both to achieve results. This turns out to be a fairly radical approach; I can only say that I am able to create a lovely brioche in an afternoon, rather than a day and a half, and very nice puff pastry in a couple of hours total. My breads are terrific. My way of using sourdough allows me to be much more spontaneous and creative in my cuisine generally: the options are always open. Wow! 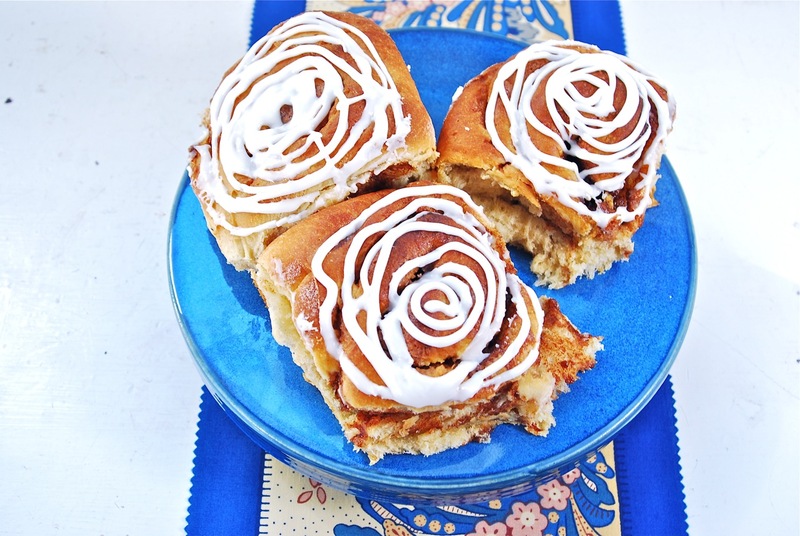 Thank you for step-by-step recipe! umm wow, I am amazed by every post of yours. Thanks for this starter recipe. I live in an old house in central NY, there really is not a place in my house that is 75-80 degrees for any extended period of time. Can I still make the starter but provide extra time between feedings to allow for slower growth at lower temp? Thanks! Thank you @Svet, @Jennifurla and @kathie! 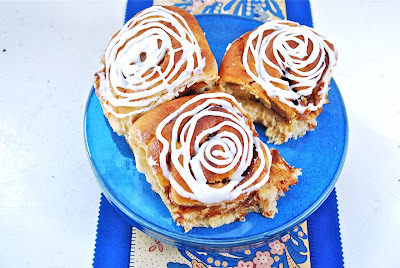 Sue, I just discovered your blog and am loving it! I just started making cheese very recently and started my first sourdough starter about a month ago. My bread results were ok, nothing near great though. 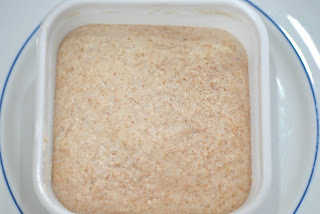 I've had trouble sourcing a great sourdough bread recipe using a natural starter. If you have one I'd love to give it a shot?! Thank you so much for the tutorial! We homeschool, and my daughter is doing "Homesteading Skills" as one of her subjects this year. We are just about to launch into studying bread baking, so this will be fabulous! Thanks!